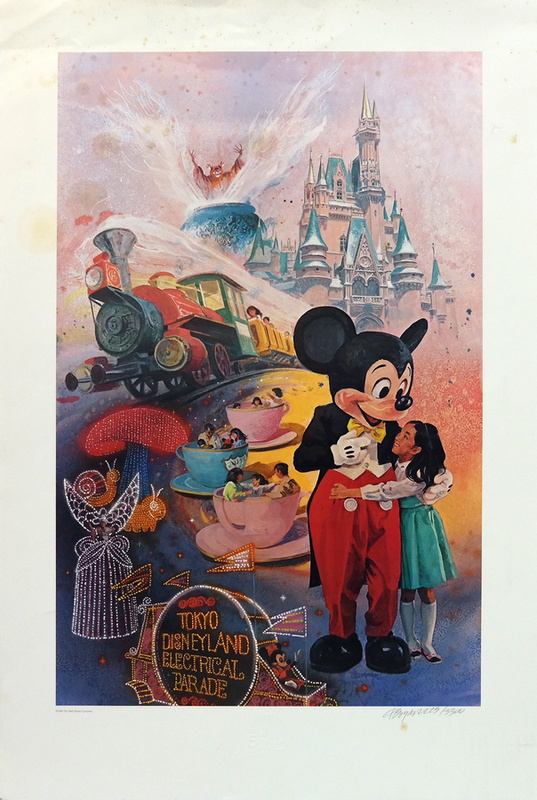 This is a limited edition print of Charles Boyer's artwork created for the 5th Anniversary of Tokyo Disneyland in 1988. 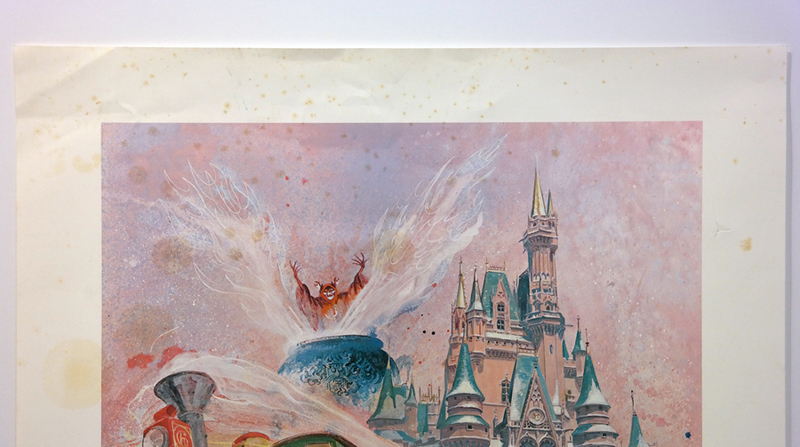 This charming print features iconic imagery of Mickey Mouse, the Tokyo Disneyland Electrical Parade, Tea Cups, and Cinderella Castle with The Horned King from The Black Cauldron lurking in the background. 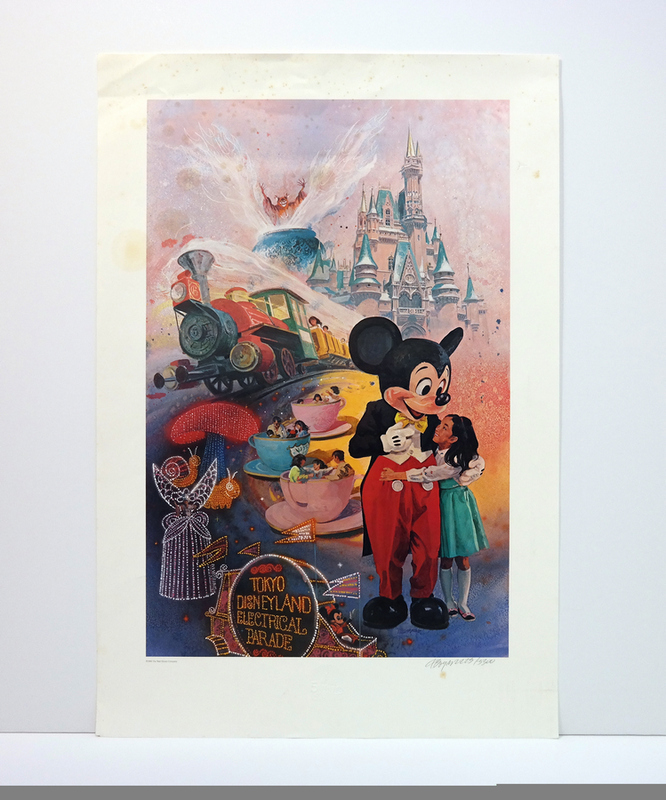 This print measures 29.75" x 20" overall with the image area measuring 24" x 15.75". 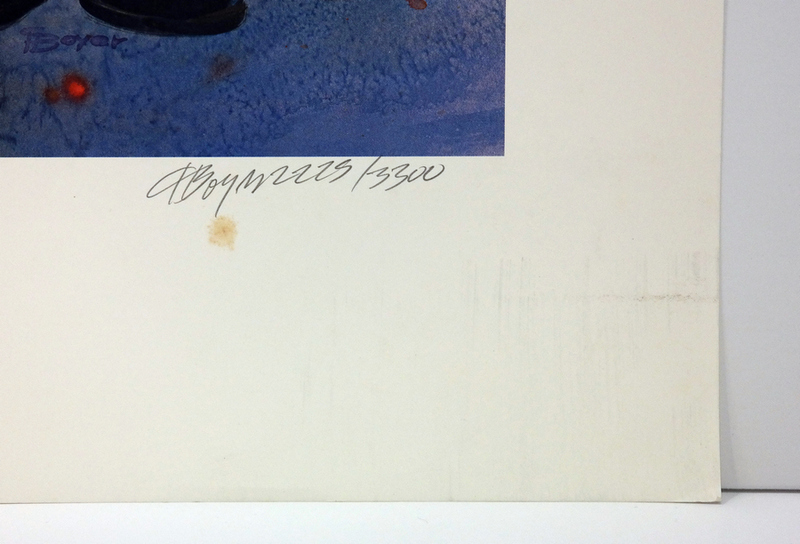 The print is #2229/3300 and is in good condition with light brown spots throughout, most notably across upper third of print.